Last week our inaugural European Advisory Board had their first conference call ahead of the Mines and Technology Helsinki event (27-29 May). As mining companies continue to integrate digital technologies into their operations, it is the small changes they make to adapt to new technologies that will guarantee their projects are successful. One advisor pointed out that communication networks and infrastructure to support wi-fi dependant technology continues to play an integral part in laying the foundations for digital integration. Others pointed out that even in the Nordics, where networks are considered more advanced than other geographies, miners struggle to access the appropriate bandwidth to support automation and integration projects. This issue will continue to evolve with the emergence of 5G and LTE networks that will further improve connectivity. 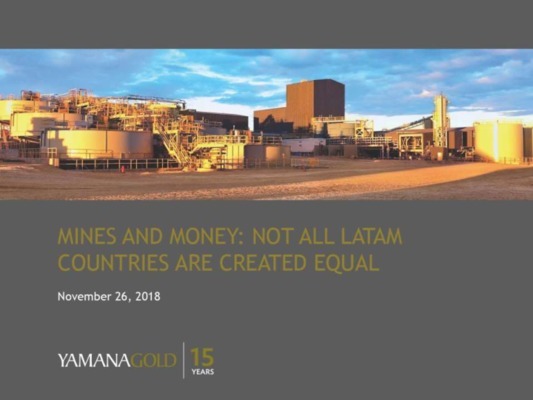 Equally, one advisor said that alongside this, mining companies lack the necessary standards and procedures to use new technology efficiently. Notably, they have visited mine sites where tablets and mobile phones are forbidden. This, however, is not limited to one mine and the industry as a whole lacks guidelines and standards that are commonplace in other industries, for example, the IEC61508 that provides functional safety guidelines to the oil & gas, nuclear plant and machinery sector. In order to combat this, GMG group is looking at solving common challenges through multi-disciplinary guidelines that will improve operational performance whilst managing risk. If the industry is going to make the most of this period of transition, then they will find it much smoother if they make small changes that will make room for bigger ones. For this to happen then these changes need to come from the top down with management creating clear digital strategies. A lot can be learnt from other industries on how to achieve this, particularly oil & gas given they are also an extractive industry. As a consequence of mining’s reputation as ‘unglamorous’ and ‘dirty’, the number of young professionals opting for mining as a career is dwindling. The result is that the industry is missing a huge range of skills, particularly in the field of mineral processing, where universities are struggling to fill courses. Digital technologies are now providing the industry with an opportunity to showcase how exciting their industry can be and regain favour with tech-savvy millennials. Mining companies need to start being more proactive in changing perceptions of the industry by engaging more with local communities, particularly if there are schools in the areas around the mines. During these outreach initiatives, they need to highlight that desirable mining qualifications are not limited geology as there are many areas of an operation that require young engineers, including IT and fleet management. One advisor underlined that sensor technology projects are particularly interesting to younger engineers, so these technologies can be leveraged to entice people from other industries. Five years ago, mines were virtually disconnected from the outside world, with no internet or even telephone signal. Now as we enter the era of IOT and the cloud, mining companies are transmitting vast amount of data from their operations to data processing centres around the world. This increase in data coupled with a lack of IT literacy amongst many mine managers is the equivalent to throwing your windows and doors open and leaving your house vulnerable to burglars. Now mining companies need to re-evaluate if their current operations are appropriately safe-guarded against network threats, however, the lack of standards across the industry mean once again, the industry is fragmented, and some operations remain vulnerable. The best way to tackle this is to ensure that vendors and mining companies are discussing how to safeguard new equipment at an early stages of equipment implementation. Mining companies must then look at their network and pinpoint critical weaknesses to avoid potential hacks by homogenizing operations.